An amazing sequel to the groundbreaking Drums, Girls, and Dangerous Pie. Jeffrey isn't a little boy with cancer anymore. He's a teen in remission. Even though the cancer should be far behind him, life still feels fragile. His parents still worry about him. His older brother, Steven, who has always been Jeffrey's main support system and confidant, lost it and took off to Africa to be in a drumming circle and "find himself." His best friend, Tad, is hatching some kind of secretive, crazy plan, which is driving him bonkers. And there is a girl who is way out of his league but who thinks he's cute. 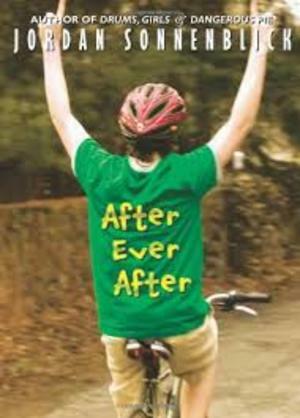 Profound, funny, and utterly original, After Ever After promises laughter and tears and characters who will live with readers long after the story is over.